Hello, everyone. I am Tami from Kamp Kindergarten. The mornings here in Georgia are feeling like fall though the afternoons still feel like summer. I am ready for fall weather and all that it encompasses. When I think of fall, I think of many things. I think of cool evenings spent in warm comfy clothes or soft, cuddly pajamas. I think of yummy fall treats and hot drinks that warm me from the inside. Pumpkins and candy corn are also among the many items that signal fall is here for me. I love detailed and well thought out learning activities as much as the next person. I have always been willing to take time to prepare materials like that for my little learners. I experience such a feeling of accomplishment when I get an activity printed, laminated, cut, and ready to use. Even so, there are times that I just need a quick, easy, and fun activity. 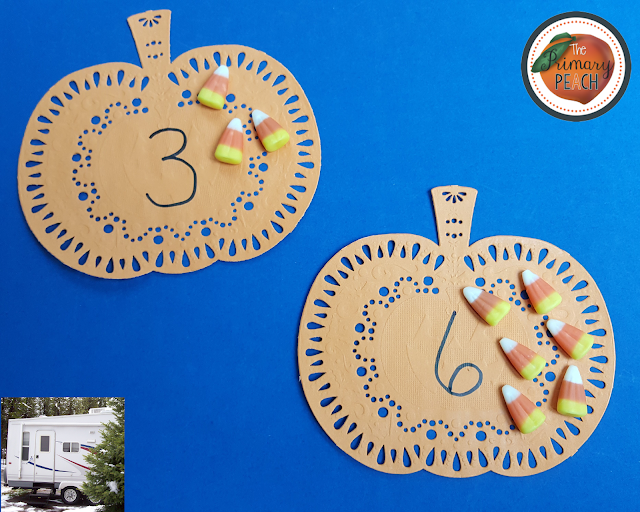 I want to share one of those fall math activities that I made with pumpkin doilies and candy corn. Most teachers love dollar stores. I am no exception. I got the items for this activity at the dollar store. If you are busy and can’t get to the dollar store (or just don’t want to change out of your jammies) the items are also available on Amazon. 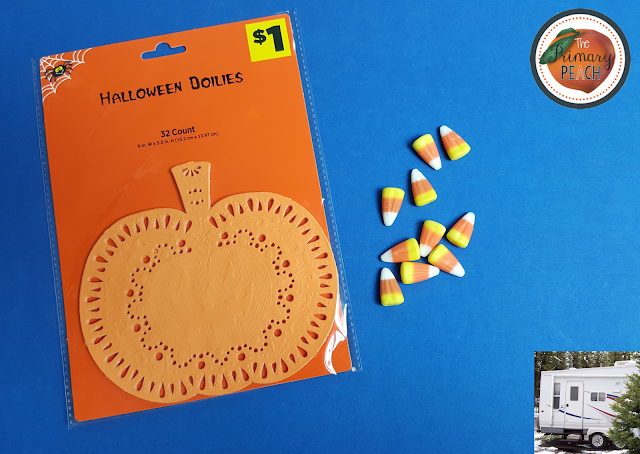 You will need pumpkin doilies, candy corn, and a Sharpie type pen. Use the Sharpie to write a numeral on each doily. Choose the range that best meets your learners’ needs. I chose to write the numerals for 0-20. The pumpkin doilies can be laminated for durability if you wish. 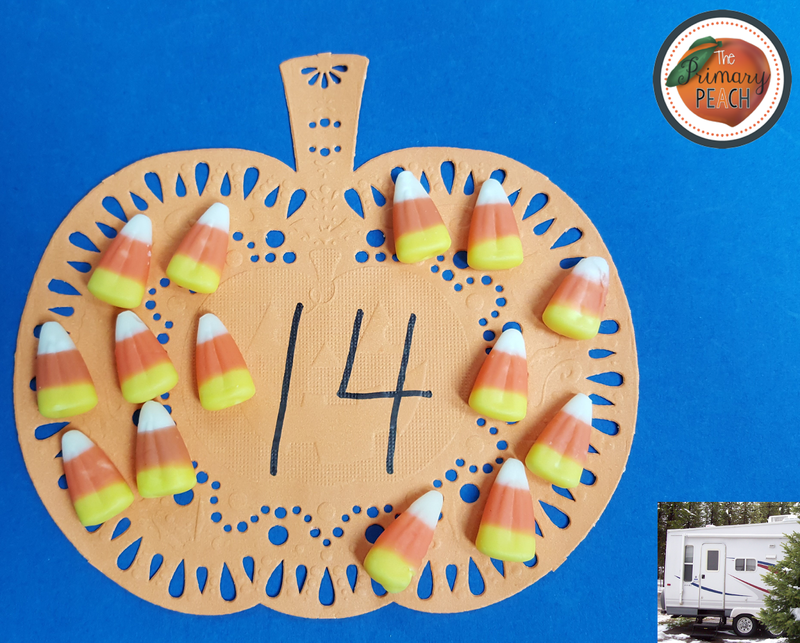 Learners put the correct quantity of candy corn pieces on each pumpkin. 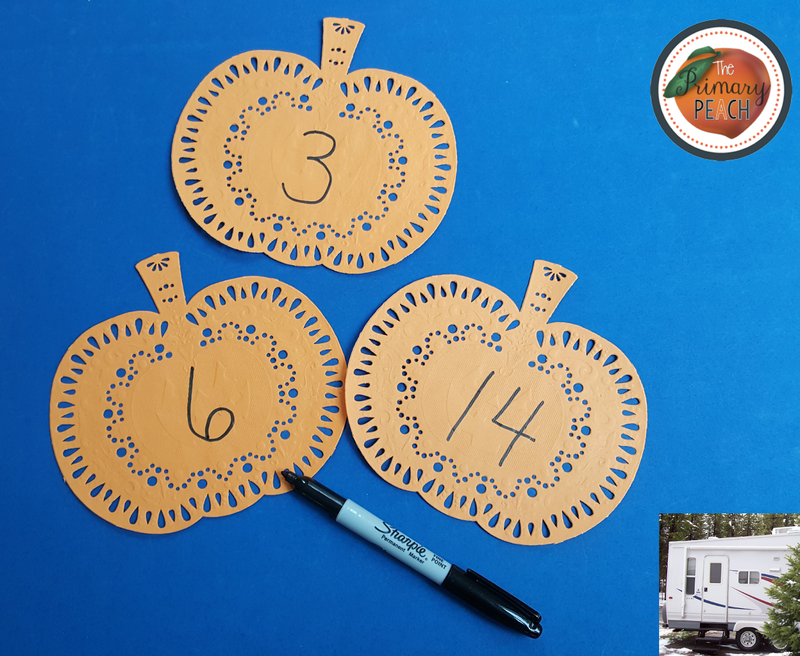 You may choose to have learners put the pumpkins in numerical order first if they need extra practice with that. As indicated earlier, this activity is easily adaptable to the needs of your classroom. 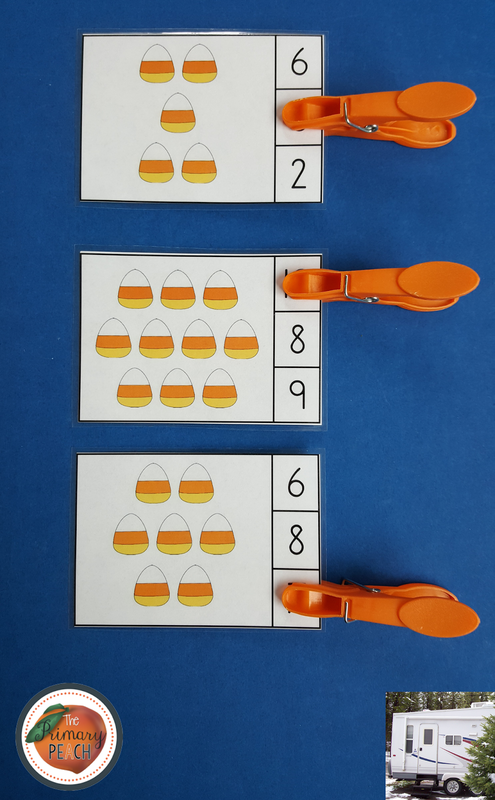 You may wish to have learners organize the candy pieces to show tens and ones where applicable. As I mentioned earlier, I got these items at the dollar store but they are also available from Amazon. Here are Amazon affiliate links if you want to stay comfy in your jammies. 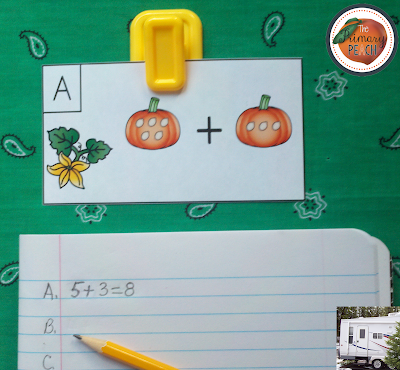 Here are a couple of FREE fall math resources if you would like additional activities. Sorry. They do require printing, laminating, and cutting, but that can be done while you are snug and cozy in your favorite warm jammies. You can even sip hot cocoa or spiced cider from your favorite mug as you work. 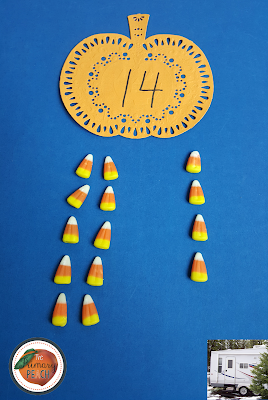 Here is a Candy Corn Count and Clip activity. 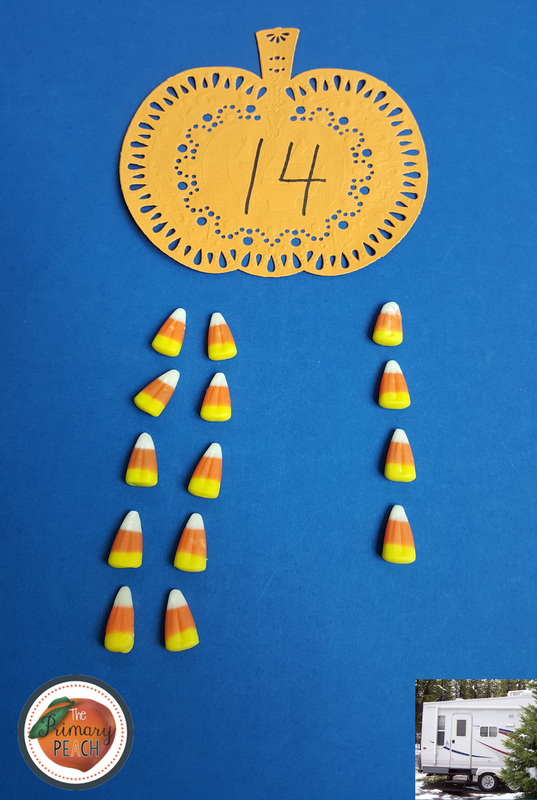 Your little ones can work on counting and fine motor development in one easy-to-use resource. Here is a Pumpkin themed Addition Activity. It will get your little ones up and engaged in mastering addition facts. This activity is great to help keep little ones focused if the weather does not permit outside activities. I hope you and your learners enjoy these fall math activities. G club Online Game Betting Sites That Have Gamblers Every Day Bet on it all, with gambling to make it easier to play every day gambling fun to play it all. Fun, do not mess up. Choose a gambler friendly. Everyday Betting There are gambling games that anyone can easily play. Who likes to play online gambling amateur? There are many games that are lost online slots online. Baccarat Online And there are many gambling games to play anywhere. Make more money every day.